Flooring is as important to the home as any other decorative element. It provides a sense of warmth, welcome, and luxury for homeowners and their guests. Flooring can also truly impact the look and functionality of a room, solidifying a style preference and reflecting a personality that can be felt consistently throughout the home. 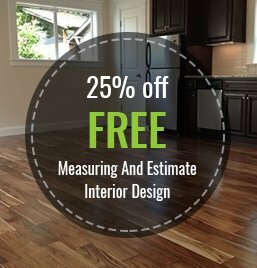 At Macadam Floor And Design, we offer a variety of flooring options to fit every need. We have a wide selection of high-quality materials by the top brands in the industry. From plush carpets to luxurious marble, we have the perfect flooring for your home or office. Durable, soft, and versatile, carpet is a favorite of many. Homeowners enjoy the warmth and comfort of having carpeted flooring in their living room, bedroom, and other common areas in the home. We have an extensive inventory of various styles and textures to suit every desire. Choose from trusted brands like Shaw, Mohawk, Kraus, Godfrey Hirst, Phenix, and many more. Customers can select cut pile for low traffic spaces or loop pile carpet for high traffic spaces. We also offer several environmentally-friendly options. Wool carpeting is a naturally-made and reoccurring material that is eco-friendly. Not only is it highly durable, but also it is stain resistant. Our recycled carpets are another great choice for a durable and environmentally safe material. Made from reprocessed post-industrial or post-consumer textiles, these carpet types are also very stylish. Learn more about our carpet flooring offerings here. Hardwood flooring is a classic choice that can last a lifetime. When cared for and maintained, this timeless beauty can withstand generations. Our knowledgeable staff is happy to help match styles and textures to complete any room in the home. From offices to entryways, hardwood flooring makes an elegant statement. We offer both solid and engineered wood from brands like Anderson, Dansk, Homerwood, Kahrs, Metropolitan, Mohawk, Mullican, Pinnacle, Robina, Shaw, and much more to ensure great options that meet both your budget and style. Traditional solid hardwoods are a wonderful investment and can be sanded, restained, and refinished to repair any scratching or damage. They can also be cut to various widths to fit your preference. As well, engineered woods are a beautiful, cost-effective option designed to withstand changes in climate while having the same classic appeal of solid hardwood. We offer a variety of stains on prefinished woods as well as customized finishes for unfinished wood. Learn more about our hardwood flooring options here. The perfect solution for high traffic areas, laminate flooring offers a budget-friendly alternative to most other flooring types, including hardwood floors. This versatile material is quite easy to maintain, requiring only a dust or vacuum and a damp mop, making it ideal for families and homes that have lots of visitors. Laminate also comes in an abundant selection of textures and tones. Because of embossed in register texturing (EIR), laminate can not only mimic the design of flooring like hardwood, tile, and stone, but it can also replicate the surface texture of these materials at a lesser cost. We carry major brands like Kraus, Kronotex, Lamett, Mohawk, Shaw, Quickstep, Wilsonart, and much more. Our design center is stocked with a wide selection of laminate flooring styles and colors to fit most any preference. We also provide a stellar design team to help you find the right choice to add to your home, office, or rental property. Learn more about our laminate flooring options here. A popular, eco-friendly addition to any home, bamboo flooring is as versatile as it is durable. It is a fantastic sustainable option for homeowners who want to add beauty and warmth to the home while doing right by the environment. Bamboo is a naturally-sourced material that is rich-looking and stylish, and it comes in a variety of finishes. It is also in-demand for a more modern design aesthetic that is similar to the look of hardwood, but with subtle and fresh differences. Bamboo flooring does not require any special treatments, only mild soap and water for cleaning. We carry major brands like Dansk, Metropolitan, Shaw, Teragren, Wellmade, and much more. We offer both solid and engineered construction as well as horizontal and vertical grains. Learn more about our bamboo flooring options here. Tile flooring has the ability to revitalize a kitchen, bathroom, or foyer while maintaining a timeless aesthetic. It is a highly durable material that can withstand heavy foot traffic, and it is easy to maintain. Tile, when properly sealed, can resist spills, water, and pet accidents, making it an excellent choice for busy homes. Cleaning is also made simple since this durable flooring only needs soap and water. It is also a healthy option because it emits no VOCs and preserves the indoor air quality. We offer a wide-ranging selection of tile from trusted brands like Surface Art, United Tile, Emser, Dal Tile, Florida Tile, American Olean, Tierra Sol, and many more. Our inventory also includes a vast number of styles and colors, allowing you to put your creative stamp on any room. Learn more about our tile flooring options here. Unique and natural-looking, marble flooring is ideal for the ultimate in luxury. Unlike tile options, marble is a natural stone that varies in look and texture—no one piece is alike. Its wide range of colors and styles can be attributed to the fact that it is quarried in different parts of the world. Marble is easy to clean and maintain when properly treated, and makes a luxurious addition to your bathroom, kitchen, foyer, or any other great room. Although it is a more expensive stone, its incredible durability and striking beauty make it a wonderful investment. With proper care, it has the ability to last a lifetime. Our inventory is stocked with quality brands like Dal Tile, Emser, Pental, Port Décor, Tierra Sol, and United Tile. Learn more about our marble flooring options here. Like most stones, granite flooring is particularly hard, making it highly durable. It is also a very timeless and visually appealing stone that is resistant to water and staining. Because it naturally occurs in nature, each stone will vary in look, giving a unique appearance to your room. Granite is one of the most valued mineral choices for homebuyers and homeowners next to marble. Good quality and properly sealed granite can be resistant to scuffs and damage from children and pets. It also has the veined and salt and pepper patterns that create a wonderful accent of tones and hues for any room. We have a variety of colors and styles from top brands like Emser, Pental, Daltile, Port Decor, United Tile, and Tierra Sol. Learn more about our granite flooring options here. Travertine flooring is seeing a trend as homeowners are seeking out this versatile and environmentally-friendly stone. It is classic and elegant with a wide variety of styles, colors, and patterns to fit whatever look you prefer. Formed deep in the sea under a tremendous amount of pressure, travertine is a porous stone with a significant amount of mineral content. The varying types and amounts of minerals in the stone means travertine comes in a rich array of golds, browns beige, ivory, and other earthy tones. It can coordinate with most any color. It has the same soft elegance as porcelain, however, it is naturally occurring and not manufactured, and therefore, more eco-friendly. A highly porous material, travertine is ideal for dry areas of the home like living rooms, foyers, and great rooms. We provide a fantastic selection of this diverse stone from trusted brands like Dal Tile, Emser, Pental, Port Décor, Tierra Sol, and United Tile. Learn more about our travertine flooring options here. Water resistant, stain resistant, and heavy duty, slate flooring is popular in heavy traffic areas and even outdoors on patios and in gardens. It can vary quite a bit in overall texture because it is formed from a host of minerals including quartz, mica, calcite, muscovite, hematite, and feldspar. Slate can appear in both dark tones and light hues. The appearance depends on the specific kinds of trace minerals in the stone. Also, its cleft exterior creates a natural non-slip surface. This natural stone’s waterproofing capabilities also make it ideal for spaces by the pool, bathrooms, kitchens, and driveways. It can withstand various climates, and it is also easy to clean, durable, and doesn’t require serious maintenance. Slate comes in many different colors, sizes, and styles, making it an excellent choice for any preference in home decor. Our inventory is stocked with current selections from brands like Dal Tile, Emser, Pental, Port Décor, Tierra Sol, and United Tile. Learn more about our slate flooring options here. Limestone flooring is a sophisticated natural stone with muted tones. Formed deep under the sea, it is porous and durable. When properly sealed, it’s a favorite material for heavy traffic areas. Limestone makes a beautiful flooring option for pool areas, bathrooms, and patios. It is resistant to mold and bacteria and is easy to clean and maintain. Earthy and elegant, limestone comes in a variety of shades, tones, and hues with textures that can work well both indoors and outdoors. Its neutral look also makes it an easy match for most interior and exterior design choices. We keep an extensive inventory of this natural stone from top brands like Dal Tile, Emser, Pental, Port Décor, Tierra Sol, and United Tile. Learn more about our limestone flooring options here. A very eco-friendly option, Marmoleum flooring is made from a combination of resins, linseed oil, pine, limestone, cork flour, and wood flour. The result is a very strong and durable, stain resistant product that is safe and stylish for your home. Coming in a variety of colors, Marmoleum offers several design options. It is a very cost effective choice for homeowners and business owners alike, as it serves as an excellent alternative to linoleum, vinyl, and carpeting. Made of non-toxic materials, Marmoleum is composed of antibacterial and anti-static properties, which make it a safe option for those with allergies or small children. The tiles are also easily replaceable and require little maintenance. We carry Marmoleum from the Marmorette and Forbo brands. Learn more about our Marmoleum flooring options here. Vinyl flooring offers great value and is a very popular option for both homeowners and commercial property owners. Chosen for its easy maintenance, cost effectiveness, and range of colors, this material can fit most any living or office space. It is extremely durable and resistant to dents, scratches, and stains, making it an ideal option for busy areas or homes that experience a significant amount of traffic. Also, it is a favorite of many because it comes in a wide selection of patterns, styles, and even textures. This makes decorating and coordinating with existing wall colors and accents quite easy. Vinyl can also mimic stone tiles or wood planks, giving homeowners the look they want without the high cost. We carry top brands in vinyl like Mannington, Congoleum, and Armstrong. Learn more about our vinyl flooring options here. A natural and renewable material, cork has quickly risen in popularity because of its modern look and sustainable properties. Made from the bark of cork oak trees, this flooring material is beautiful and durable. It is impermeable to gas and liquid, and it is also fire resistant. A byproduct of the manufacturing of cork stoppers for wine bottles, cork flooring is naturally resistant to mold, mildew, and termites, making it a great option for those with allergies. Not only is it healthy and safe, cork is also very comfortable and is a natural thermal. Its neutral surface creates an inviting and warm atmosphere year-round, and its springy consistency makes it light underfoot and very forgiving. We use We Cork brand for our cork flooring.